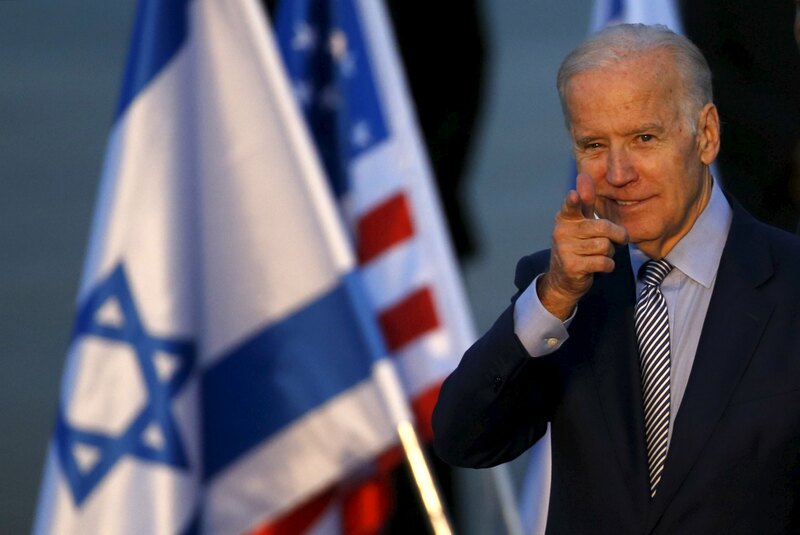 Visiting U.S. Vice President Joe Biden chastised Palestinian leaders Wednesday for not condemning the latest in a series of stabbing attacks targeting Israelis. "The kind of violence we saw yesterday, the failure to condemn it, the rhetoric that incites that violence, the retribution that it generates, has to stop," Biden said. The stabbing spree on the popular Jaffa area waterfront Tuesday claimed the life of American tourist Taylor Allen Force, 28, a Texas native and U.S. Army veteran. The Palestinian man who killed him also wounded twelve other people before being killed himself. CBS News correspondent Allen Pizzey says the incident took place less than a mile from where Biden was meeting with Israeli officials. Palestinian leader Mahmoud Abbas' Fatah political party posted a statement online praising the attacker as a hero and a "martyr," and suggesting such attacks would continue "so long as Israel does not believe in the two-state solution and ending its occupation." Violent and indiscriminate "lone wolf" attacks on Israeli soldiers, police and civilians by Palestinians have been on the rise for months. Each one is a virtual suicide mission. Video on the website of the Israeli newspaper Haaretz allegedly shows the knife-wielding assailant trying to flee on foot before being killed by Israeli security forces. The attacks do not appear to be orchestrated, but more the product of Palestinian rage and frustration over the now-virtually-defunct peace process. They've ranged from stabbings and shootings to cars being rammed into pedestrians and lines at bus stops. On Wednesday morning, two Palestinian gunmen were fatally shot by Israeli police in Jerusalem after opening fire near a bus. Those assailants did not kill anyone before being chased down and shot dead by police near the New Gate to Jerusalem's Old City. Each attack promotes more copy-cat violence, says Pizzey. The assailants have included teenagers, older men with wives and families, and women, which makes them all but impossible to predict, let alone prevent. Biden said Wednesday that he did not come to Israel with any hopes of restarting the stalled peace process, and he wasn't carrying any proposal on how to do that. "I didn't come with a plan. I just came to speak with a friend," he said of Netanyahu.